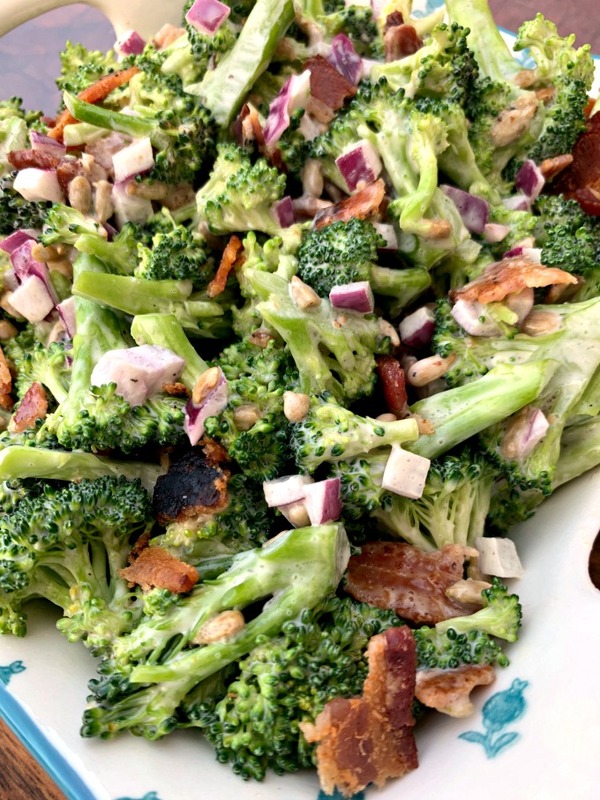 Easy, Keto Low-Carb Broccoli Salad with Bacon is a healthy and creamy recipe loaded with a handful of fresh veggies and sunflower seeds nuts. This summer salad makes the perfect sweet and savory slaw for any occasion. Sour cream or ranch dressing can be substituted for no mayo, and frozen broccoli can be used in place of fresh. Hello, spring and summer salads! 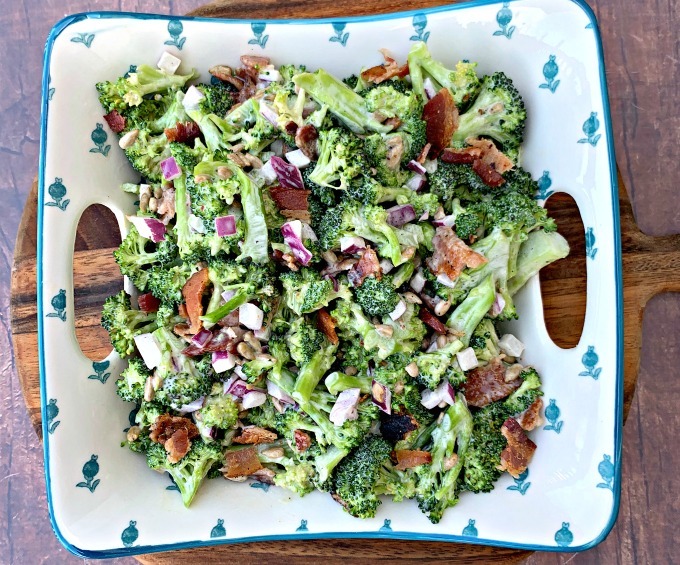 This broccoli salad is often served in my family for summer BBQs and cookouts. 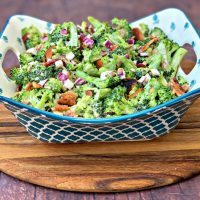 Typical broccoli salad is loaded with refined sugar and prepared with either raisins, craisins, or cranberries. Dried fruit has a lot of carbs. To make this summer salad keto-friendly you can simply omit the dried fruit. This recipe has 310 calories per serving and 4 net carbs. 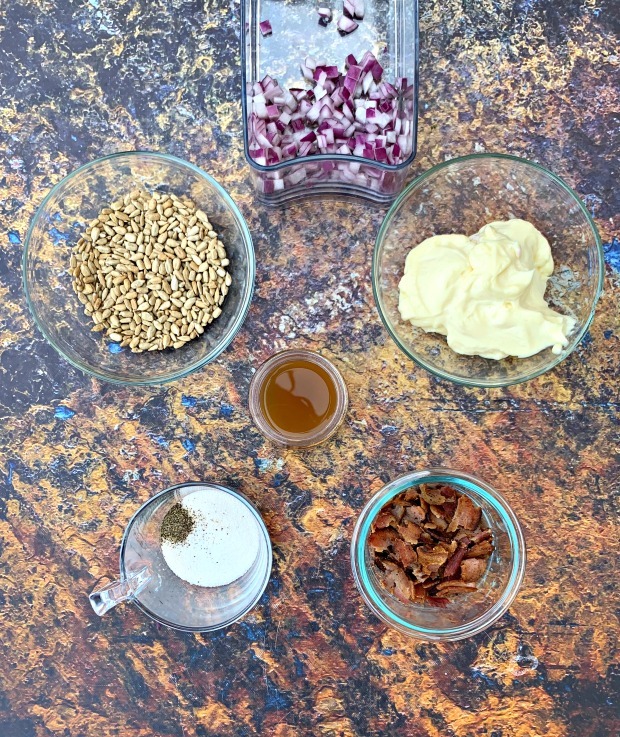 You can save some calories in the recipe by reducing mayo or the amount of bacon. Broccoli is loaded with fiber, so the carb count might look deceiving until you dive into net carbs. One cup of broccoli has 2 net carbs. 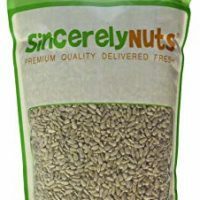 You will need fresh broccoli, mayo, apple cider vinegar, sweetener, uncured bacon, sunflower seeds, red onions, salt, and pepper. Combine in a mixing bowl and stir. 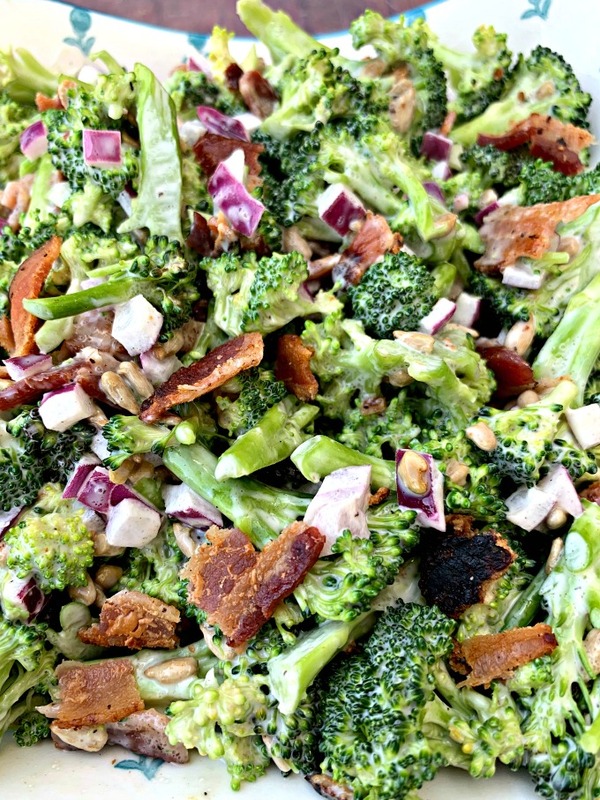 Do You Use Raw Broccoli in Broccoli Salad? Do You Have to Cook Broccoli for Broccoli Salad? Yes, raw broccoli is used in broccoli salad. The combination of mayo and apple cider vinegar in this recipe will soften the broccoli and add tons of flavor. Chilling the ingredients also assists in the ending texture. Ranch Salad Dressing or sour cream can be used as a substitute for mayo in this recipe. Boil a large pot of water on the stove. Add the broccoli for about 20 seconds. Place the broccoli in ice water to prevent it from continuing to cook. 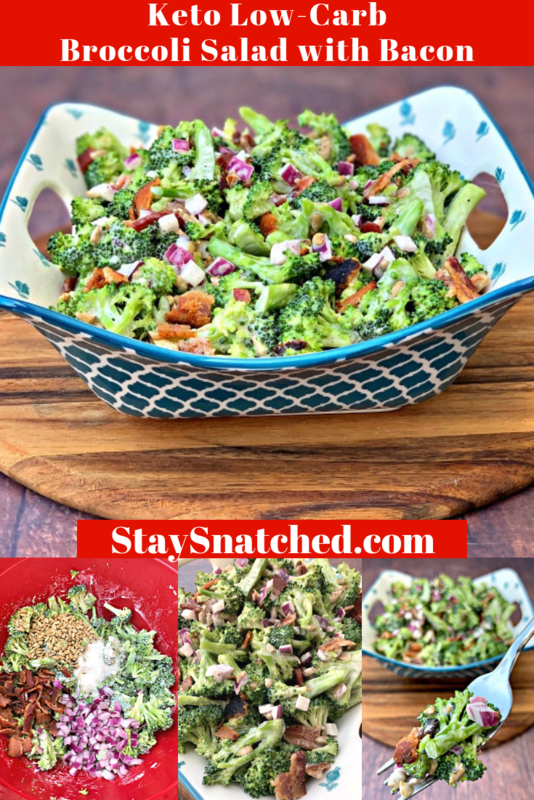 Store broccoli salad in the refrigerator for up to 3-4 days. I do not recommend freezing this dish, as it will not maintain its crunch after defrosting. 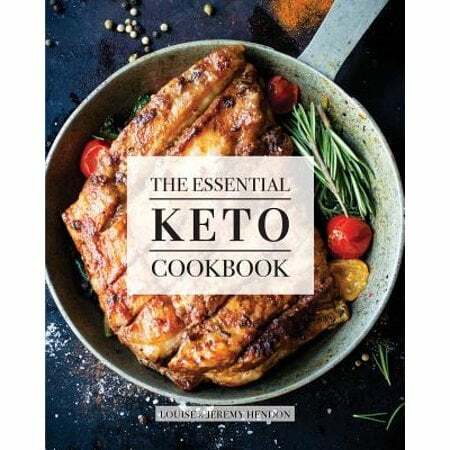 Can Keto Broccoli Salad Be Made Ahead of Time? Yes, if you plan to serve the dish within 3-4 days of making it. 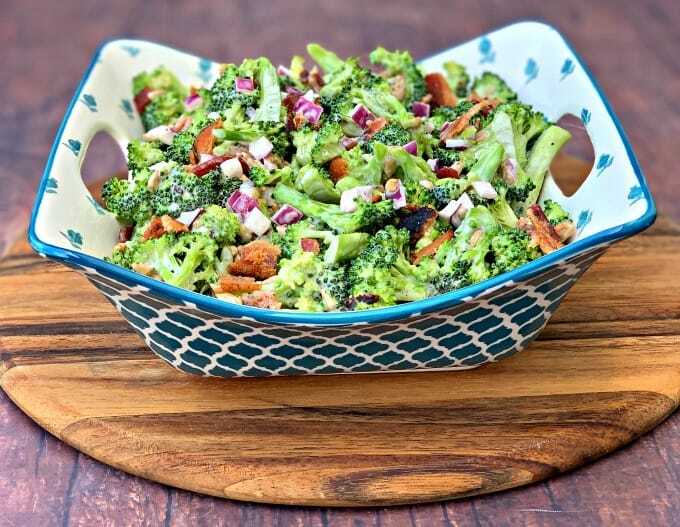 Pair this broccoli salad with Keto Pulled Pork, Keto Barbacoa, Instant Pot Ribs, Air Fryer Ribs, Keto Grilled Chicken, and Keto BBQ sauce. 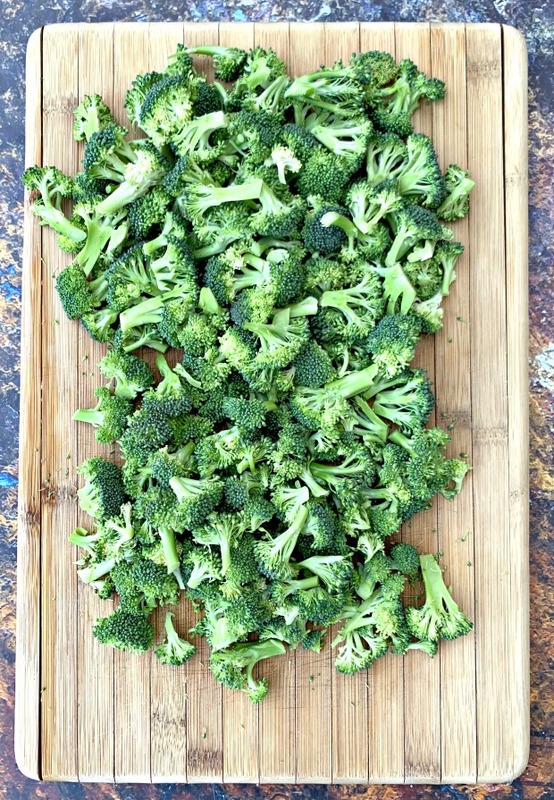 Slice the broccoli florets into thin slices. Combine all of the ingredients in a large bowl and stir to mix well. Cover and chill the salad for at least one hour. 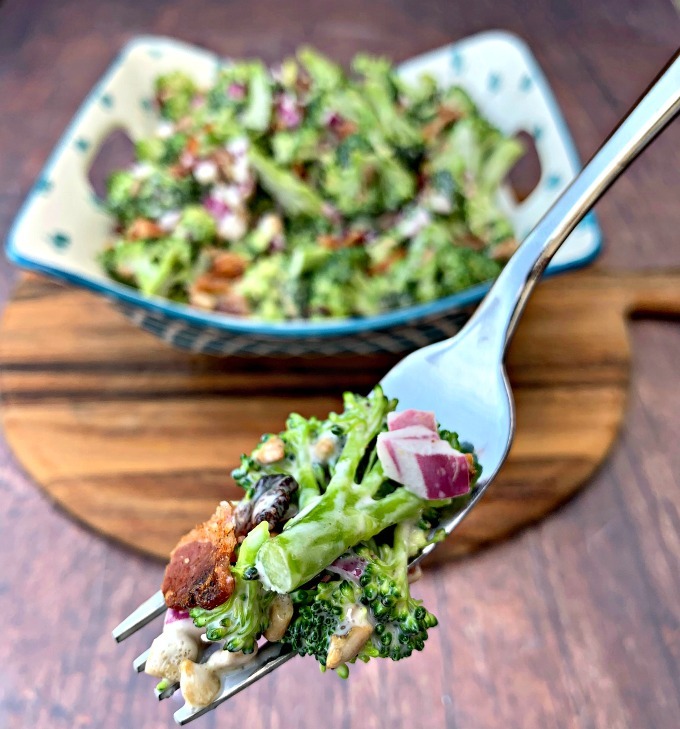 If you prefer a less sweet broccoli salad, start with 1 tablespoon of sweetener. Taste repeatedly and add more as needed. 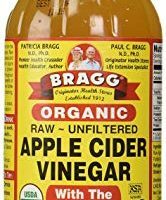 2 tablespoons of sweetener along with the apple cider vinegar will produce a sweet and savory salad. 1 cup of mayo will make this a creamy salad. If you prefer less creamy, start with 1/2 - 3/4 cup of mayo. Add additional mayo as necessary. Broccoli salad will last covered in the fridge for 3-4 days. 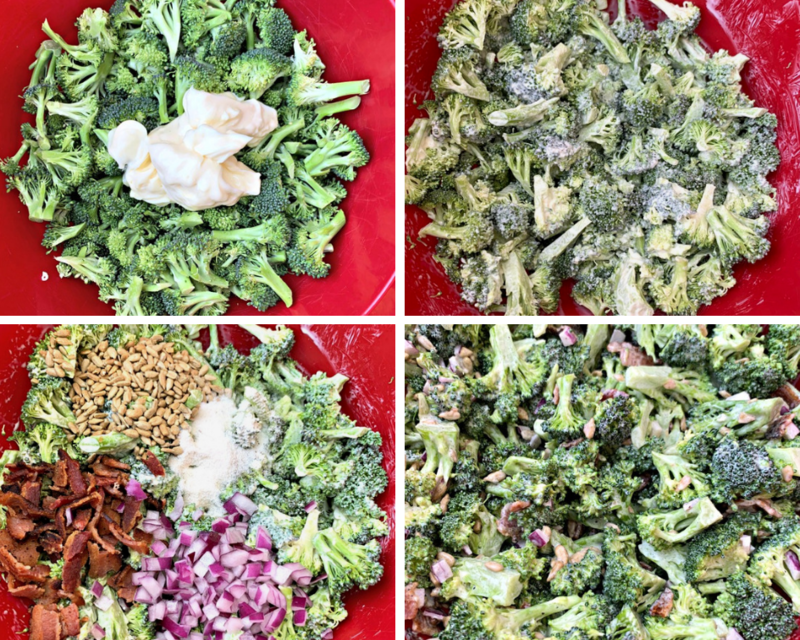 If you freeze broccoli salad it won't be as crisp as when prepared fresh. Step one “Watch the video instructions below.” I don’t see where they are?? If you are on a mobile phone the video is below the text you are referencing. If you are on a desktop computer, the video will play automatically on the right side of your screen. K. Sorry. I see it now plain as day! Made it last night anyway. Got home too late to let it chill for an hour—we ate it as soon as I mixed it up. It was great!!! Can’t wait to taste it today after the flavors have melded overnight. Thanks for a great recipe—husband loved it too. Love how easy and delicious this salad recipe is. Love the addition of red onions! The flavors in this salad are totally spot on! 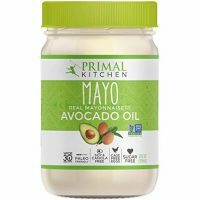 I plugged this into one macro counter (with sour cream instead of mayo) and got 12 net grams of carbs a serving… About to try one more counter but if this is true this would be terrible on keto. 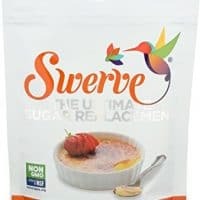 Not sure why yours says 4 g.
What sweetener are you using and are you subtracting the sugar alcohols from the net carbs? Some sour creams also have added sugar. Check to see if the brand you are using does. 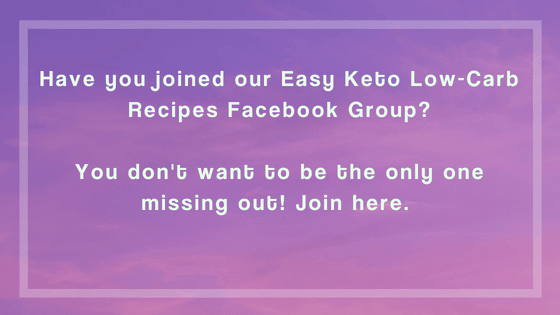 The ingredients in this recipe are all low in carbs individually, 12 net carbs doesn’t make any sense if you prepare the recipe as directed and use the brands I suggest.